This year, USA Football is offering Blocking and Tackling System Clinics in several locations throughout the country. These coaching clinics are focused on helping contact coaches develop better techniques through progressions used by the Contact System and the Advanced Tackling System. 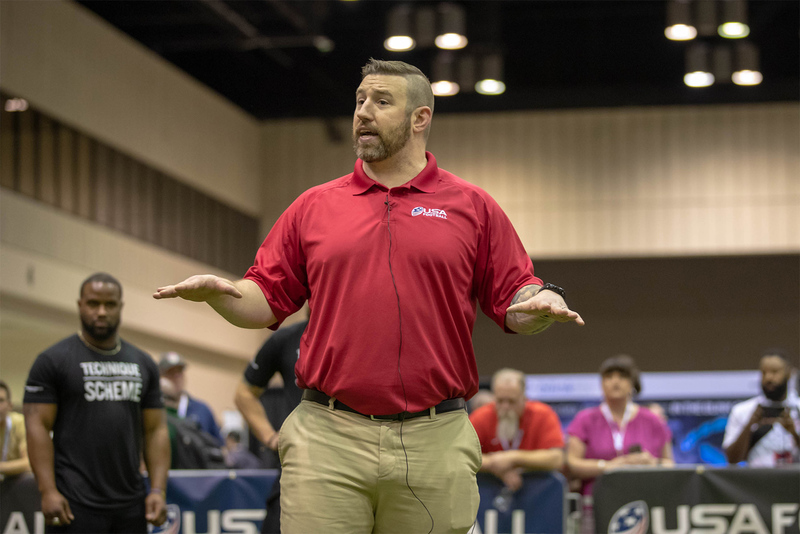 This is the best opportunity for a coach to get an in-depth first look into both systems, as the clinics will include classroom instruction, video and interactive drills the coaches can experience for themselves. Coil ensures that athletes are in the proper position before contact occurs. Uncoil teaches the extension or explosion from the hips prior to contact that helps athletes use their hands as an effective delivery mechanism for contact. Fit teaches the strike or initial contact delivered onto an opponent. Finish focuses on the techniques designed to help develop a player’s ability to secure control of their opponent after initial strike through the end of contact. The next portion of the clinic will feature the Advanced Tackling System’s 5 Fight progression. This progression can be applied to any type of tackle, and each of the “fights” represents the mental exercise to execute the critical finer details precisely. This is the ability to get to the ball-carrier with speed – taking into consideration scheme, leverage and blockers – in order to make the tackle. This is the ability to transition from tracking to the correct body positions with proper foot placement for up-coming contact and type of tackle being made. Through preparation and proper technique, Fight to Connect informs defenders on how to take the advantage from the first contact, leading to a dominant position and, eventually, a proper tackle. This is the ability to generate force through the feet and into the ground, providing sustained pressure along with generating controlled power. This involves taking the tackle to the ground in a dominant fashion and never allowing the job to be left incomplete by controlling the ball-carrier fully, all the way to the deck. Registered attendees will also receive a copy of each system’s glossary before the clinic, so they can understand and of the terminology prior to the clinic. Click here to view the locations and to sign up for the Blocking and Tackling System Clinics or click here to learn more about what will be covered. Speakers: Every clinic features elite high school and/or college football coaches who serve as USA Football Master Trainers. PLEASE NOTE: These clinics do not count towards any certification requirements. Discover the empowering techniques, teaching progressions and drills in the Contact System and the Advanced Tackling System by signing up for a Blocking and Tackling System Clinic near you.